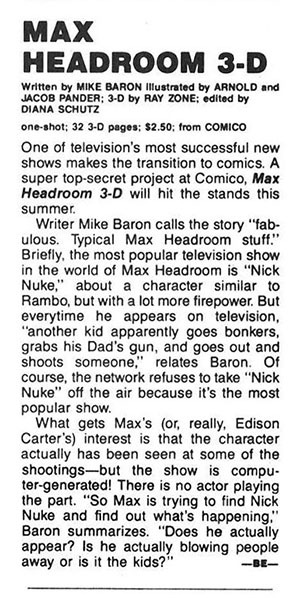 The notice for a forthcoming Max Headroom comic book, from a 1987 comic book. current 12:43, 23 April 2015 300 × 598 (92 KB) Max Headroom (Talk | contribs) The notice for a forthcoming Max Headroom comic book, from a 1987 comic book. This page was last modified on 23 April 2015, at 12:43.